An Iowa scientist's first AI device is scheduled to complete a rigorous FDA clinical trial by the end of summer 2017. 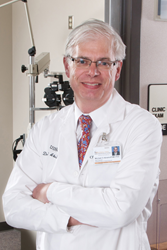 Dr. Michael Abramoff, a world-renowned retina specialist who lives in Iowa City, has spent the past 20 years developing IDx-DR, an automated screening solution designed to detect diabetic eye disease. The clinical trial is taking place at 10 sites across 7 states and will involve more than 850 patients with diabetes. Participants agree to have images of their eyes captured and submitted to the IDx-DR software, which uses an algorithm to scan for signs of diabetic retinopathy, one of the leading causes of blindness among working age adults. According to the American Diabetes Association, the current standard of care is for people with diabetes to have an annual eye exam. However, due to cost and inconvenience, nearly half of those with diabetes are not regularly screened for diabetic retinopathy, putting them at risk of losing their vision. 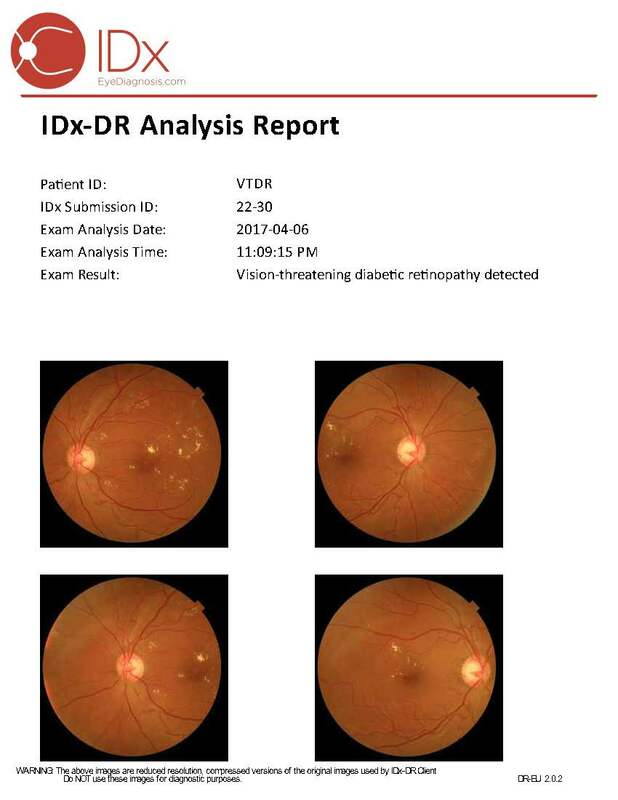 Abramoff and his colleagues developed IDx-DR specifically for use in the frontlines of care, so that patients with diabetes can have their eyes checked for diabetic retinopathy during routine office visits. Over the past two decades, Abramoff has earned a reputation as the most widely published researcher in the field of automated disease detection of the eye. His work has generated over 17 patents, scores of peer-reviewed journal publications, and significant commercialization investments. IDx products have not been cleared by the FDA and are not currently for sale in the United States. IDx recently released IDx-DR version 2.0, a secure cloud version of the software, which has received its CE mark as a Class IIa Medical Device for sale in the European Union. IDx is an early-stage medical device company focused on developing software-based algorithms that can identify disease in medical images. Its mission is to transform the quality, accessibility, and affordability of global healthcare through the automation of medical diagnosis and treatment. IDx is a leader in automated medical image analysis. The company is currently conducting an FDA clinical trial to obtain clearance for its first product, IDx-DR, a screening solution for diabetic retinopathy. IDx also has algorithms in development for the detection of macular degeneration, glaucoma, Alzheimer’s disease, cardiovascular disease, and stroke risk. The company was founded by world renowned retina specialists at the University of Iowa Hospitals & Clinics and has a strategic alliance with IBM Watson Health to distribute its products in the EU.